See the 17,000 year-old cave art at Font de Gaume. Cycle by chateaux designed to protect the Dordogne River from invaders. Take a moonlight tour of Sarlat’s medieval architecture. 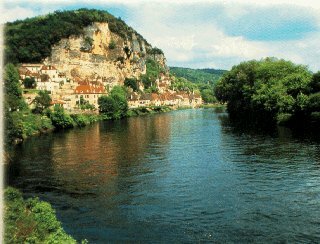 Travel picture of A view of the Dordogne Valley. Is there a price list for the France bicycle tours listed on elvincountry.com?